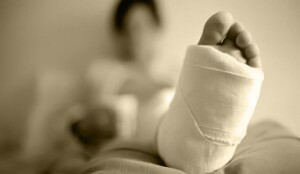 Orthopedic injuries usually encompass injuries to your tendons and ligaments, and may also include bone fractures. These types of injuries are most common among victims of auto accidents- whether you are the driver or passenger- or simply an innocent pedestrian- you may have lasting injuries that require intensive ongoing therapy and surgery. Orthopedic injuries most commonly occur in the shoulders, legs and knees, back, neck, and feet. This is a difficult time for anyone to endure- the emotional and financial hardships brought upon by an accident or act of negligence can have serious repercussions that may never fully go away. Clarke Law understands your situation. Our team of compassionate and experienced litigators understand these are difficult times for you and your loved ones, and we offer in-home or in-hospital consultations to accommodate your unique needs. Natalie Clarke has fought for countless people who have sustained orthopedic injuries in Toronto, all over the Greater Toronto Area, and throughout Southern Ontario. She and her team fully understand the dynamics of complex injury cases and how best to approach them so that you are able to heal with confidence and get the full compensation that you are entitled to. If you or a loved one are the victim of an accident and have sustained orthopedic injuries, you deserve to get your life back. You deserve compensation so that you don’t have to suffer any longer- financially and emotionally. Give us a call today for an absolutely FREE consultation with no obligations. We can help you end the suffering and recover the maximum compensation to help you get back on the road to recovery, and most importantly- get your life back.